Hey beautifuls, how was your weekend? Mine was pretty hectic. 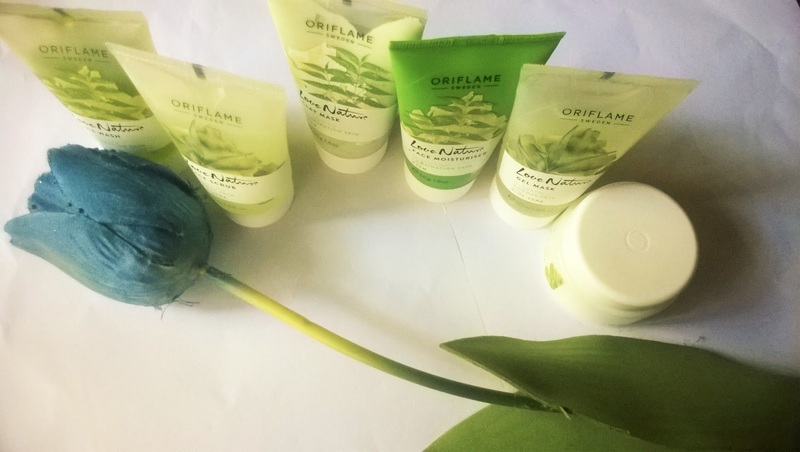 Well, those of you who are following me on Instagram must be knowing that I had started a new skin care regime with Oriflame Love Nature almost a moth back. The products I was using are from the Protecting Neem and Hydrating Aloe Vera ranges and are meant for combination/Normal skin which is pretty much me. Designed specifically for oily to combination skin this range has 3 products. 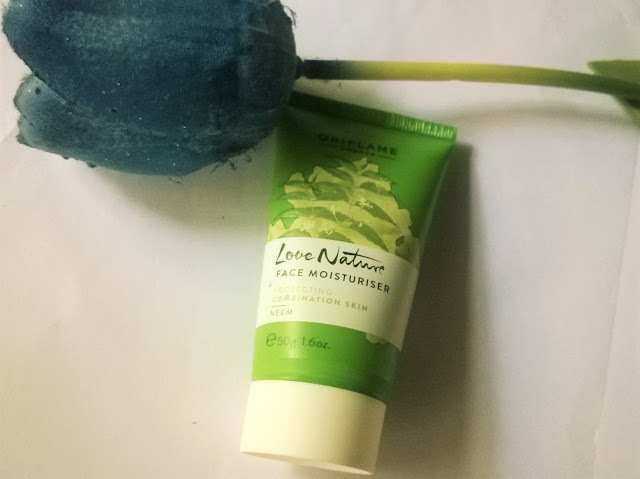 Oriflame Love Nature Protecting Neem Face Wash: The face wash has a gel texture and foams very well. The face appears and feel fresh once you rinse it off. It can get a bit dry. I used it to clean my face twice a day. 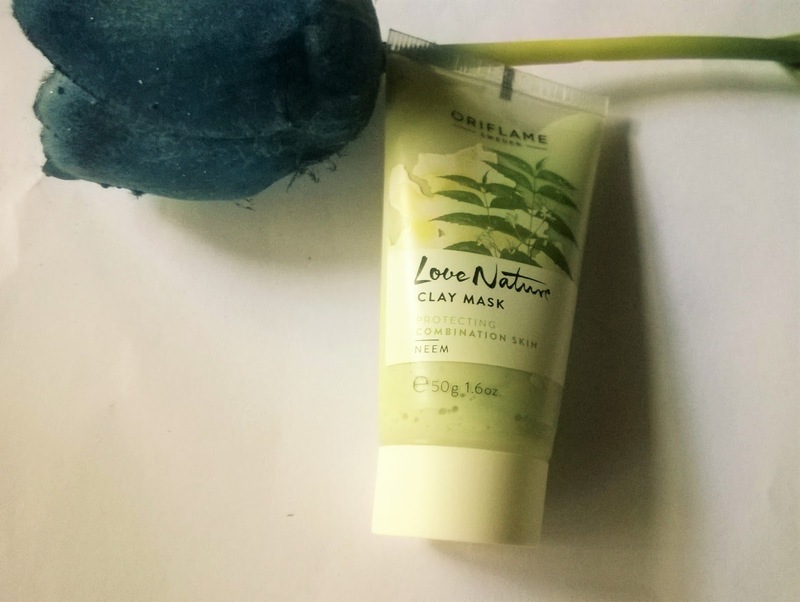 Oriflame Love Nature Protecting Neem Clay Mask: This clay mask has a thick texture that spreads smoothly when applied. The skin feels softer and cleaner after rinsing it well. It makes the appearance of the pores much refined. 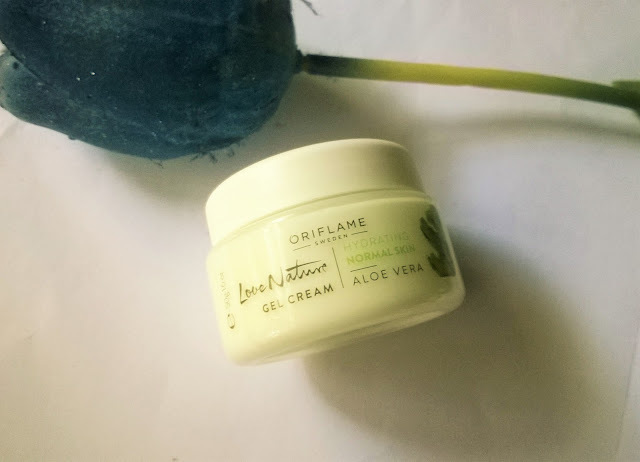 I used this mask once a week, when my face needed that extra deep cleansing. Oriflame Love Nature Protecting Neem Face Moisturizer: This lotion is quite light in texture but has a very strong smell to it. I used it as a day time moisturizer. It is a non-greasy lotion, I would have preferred some kind of sun -protection. Designed for normal skin, this range has 4 products, but I used only 3. 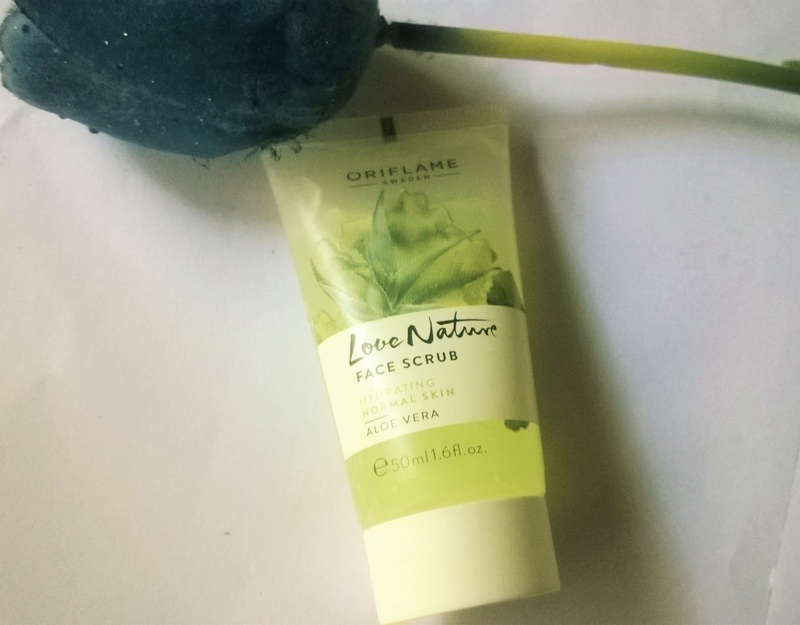 Oriflame Love Nature Hydrating Aloe Vera Face Scrub: The scrub comes in a very lightweight gel form with tiny beads. 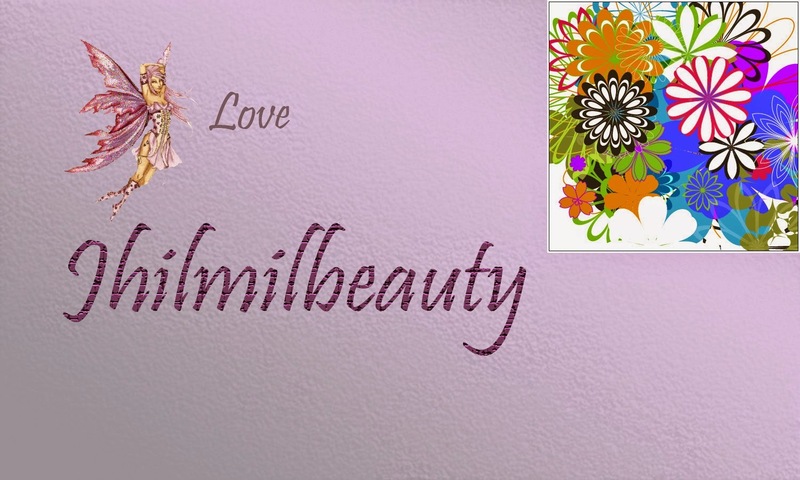 It is quite gentle on the skin and gives a refined appearance to the skin. It does not do much for the blackheads though. I used it twice a week before applying a mask. 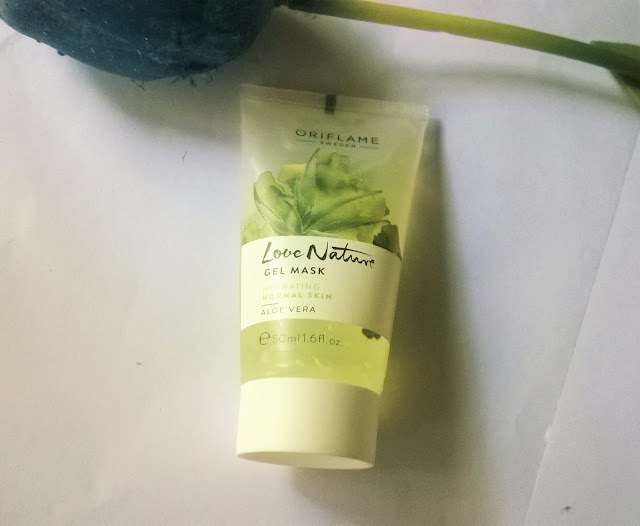 Oriflame Love Nature Hydrating Aloe Vera Gel Mask: This is a gel mask that nicely hydrates skin when required. It gives a natural flush to your skin post rinsing. 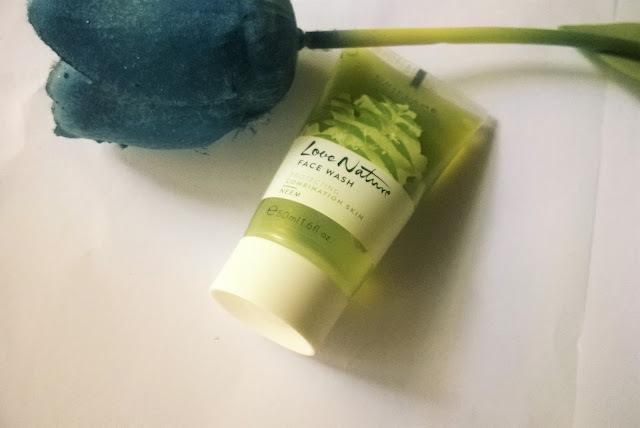 I used it once a week, when my skin required some amount of hydration. Oriflame Love Nature HydratingAloe Vera Gel Cream: This is a very moisturizing gel and hydrates dehydrated skin quite well. I used it every night before going to bed. This was quite the routine I had followed for almost 20-25 days. It would have been great for me during summers, I am sure. However, at this time of the year, my skin tends to get a bit drier, I have noticed that. So I require something more emollient and possibly with essential oils. I also wish the smell of the products were not that strong. 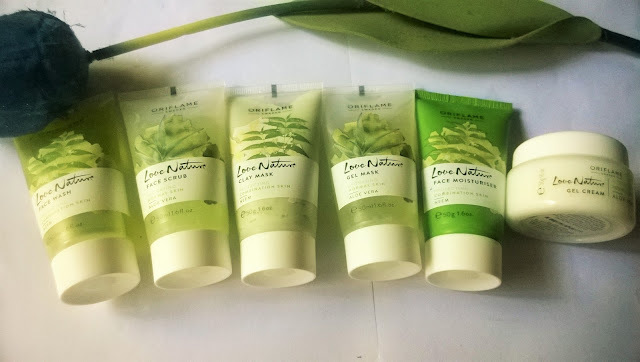 Oriflame Love Nature Protecting Neem Range and Oriflame Love Nature Hydrating Aloe Vera Range are quite good, specially for those with combination skin, more inclined towards oiliness. 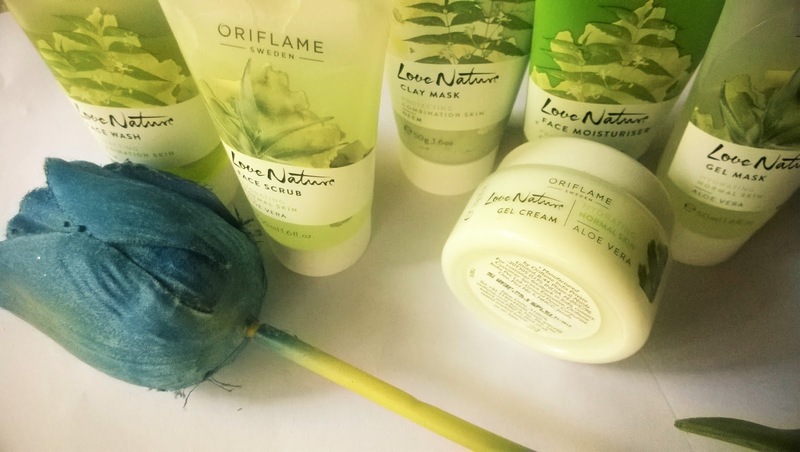 Personally, I liked the Oriflame Love Nature Protecting Neem Clay Mask and Oriflame Love Nature Hydrating Aloe Vera Face Scrub the most.